I just got a bid cancellation notice from eBay for this rare Oliver No. 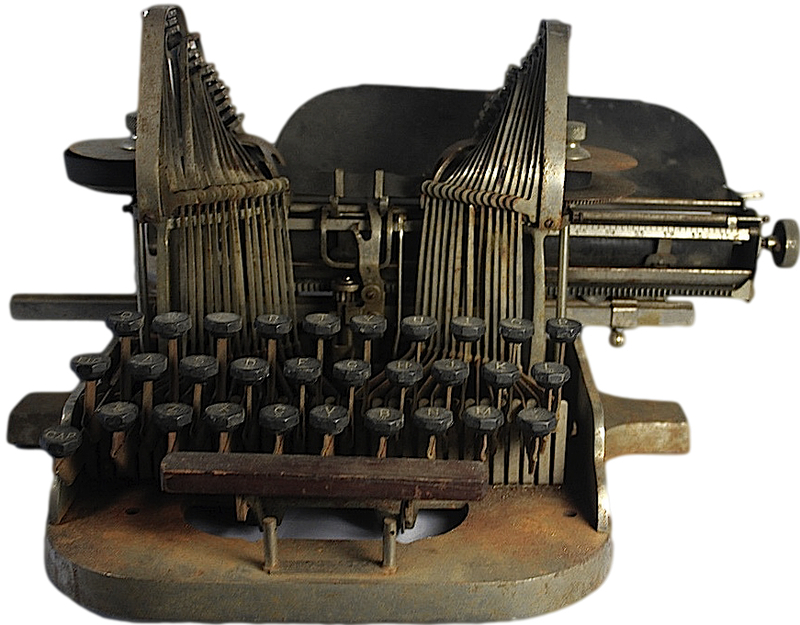 1 typewriter. It’s not often that a “blog-worthy” auction arises, and, as Richard Polt noted, this would have been fun to watch in the final seconds. The last time I checked, bidding topped $6,000. The serial number on the machine was listed as 284. © 2013 – 2019, Mark Adams. All rights reserved. How dost thou price thy typewriter? I am sure that whoever lured the seller into ending the auction early offered $15K or more. Agreed. Still, whoever acquired that Oliver sure has an important machine in his or her collection. Hopefully that person will add it to the typewriter database!